In addition to this CVI TM-500, Capovani Brothers Inc stocks a wide range of used cryo vacuum pumps. 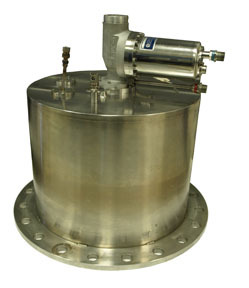 Typical manufacturers include Anelva, Austin Scientific Company, CTI Cryogenics, CVI, Genesis Vacuum, and Polycold. Other Information Cryogenic Compressor and hoses not included. Please inquire about availability.